Please pay attention to the following: In order to guarantee highest safety of playing vehicles, many manufacturers will deliver playing vehicles for an age up to three years without valve caps in the future. According to the toys standard EN-71-1, these are small parts are not suitable for children under the age of three. The quality of the playing vehicles remains the same, the safety for your child is increased. The GoKarts Buddy Fendt and John-Deere have a very similar look of those real tractors of the market leaders for agricultural machines. 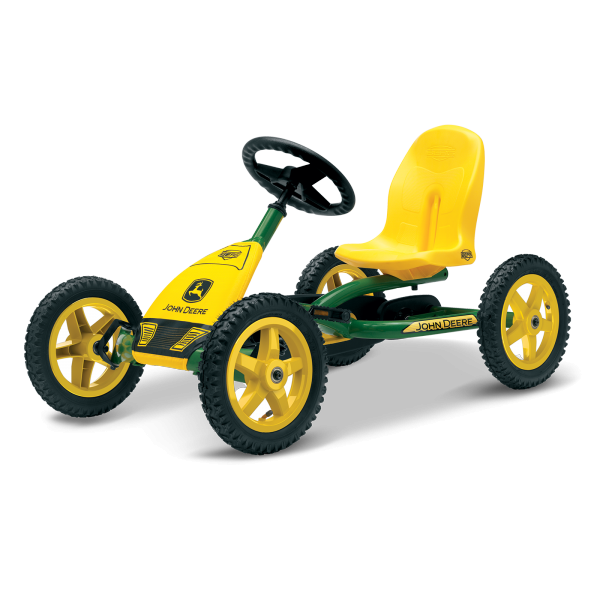 With the versatile GoKart, children can go forwards and backwards without shifting. The Buddy is equipped with a neutral gear for more safety. The steering wheel and the bucket seat are individually adjustable so that children can rely on a great fun to run for many years. The manoeuvrable agricultural machines are equipped with high-quality pneumatic tyres with 12 inches rims, which make them very sturdy. Thanks to the floating axle, the Buddy is very sturdy on uneven grounds and offers a smooth riding. 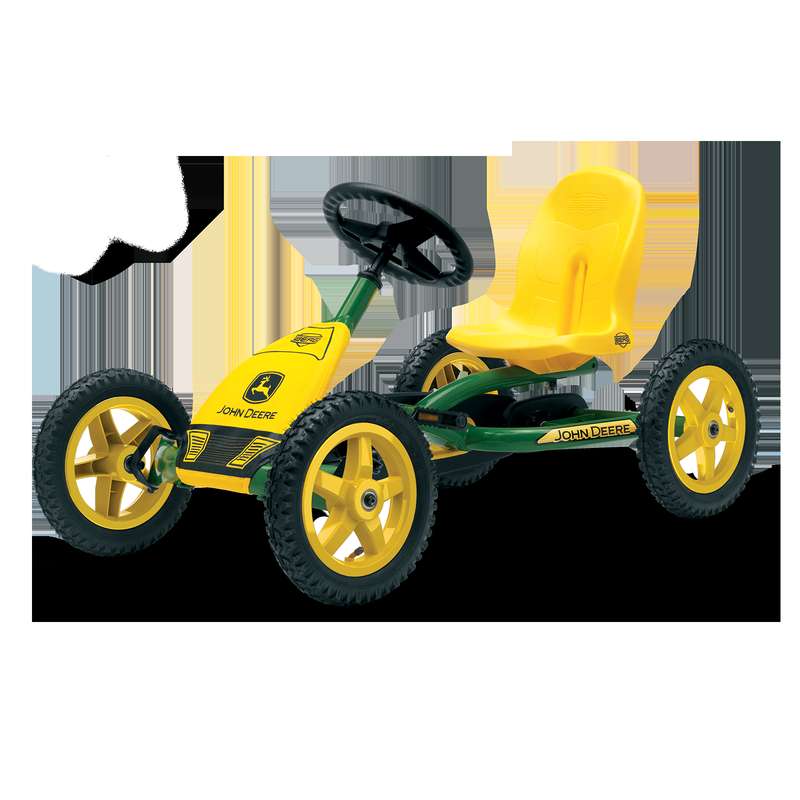 The GoKart for children from about 3 to 8 years is charactersed by a highest quality of material, safety, and workmanship. Hieno ja laadukas polkuauto. Kulkee tosi kevyesti hiekka ja sora alustallakin.